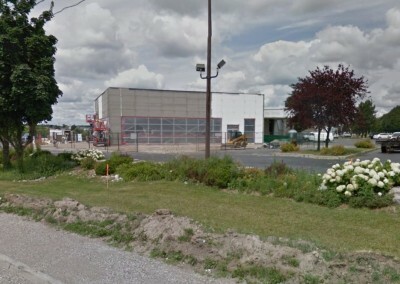 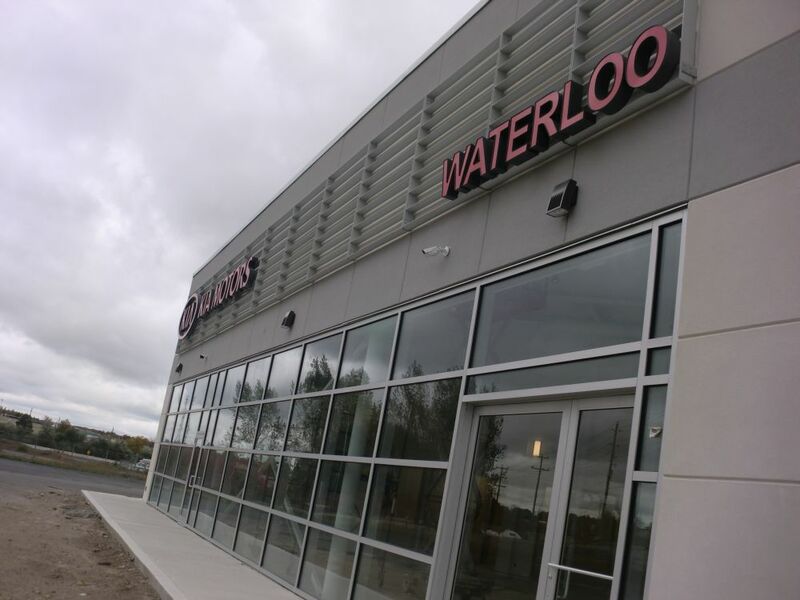 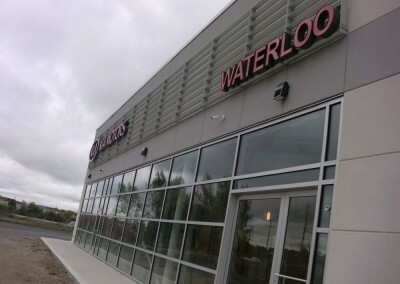 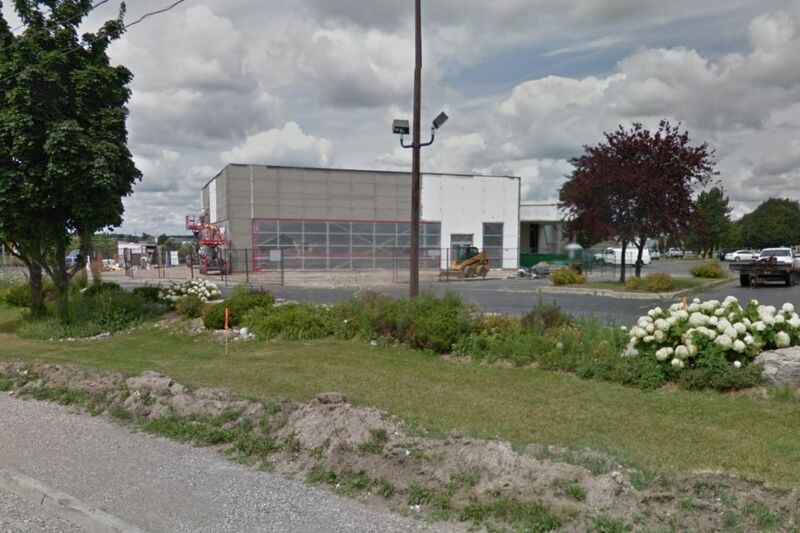 NA Engineering Associates Inc. was retained by Alkier Motor Sport Ltd. to complete the design for a renovation and addition to an existing building that would be renovated to become a new KIA Dealership in Waterloo, Ontario. 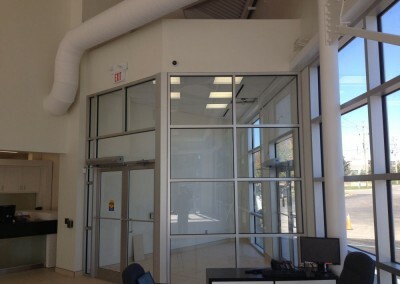 The existing building underwent extensive renovations including full removal of the existing showroom structure down to the existing foundation. 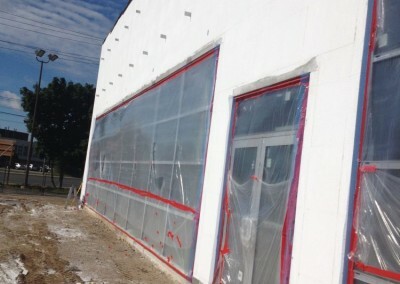 The construction of a new structure was put in its place. 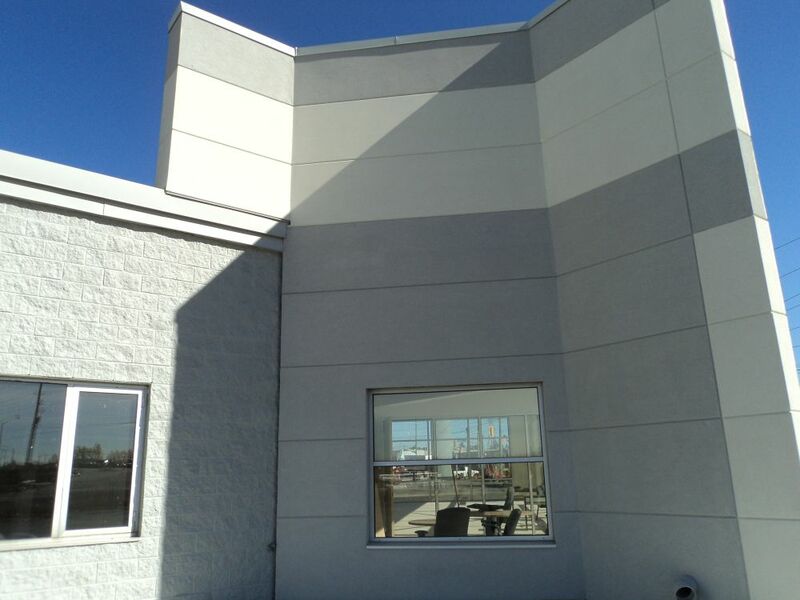 NA Engineering Associates Inc. was responsible for the structural, mechanical, electrical, fire protection and layout of the new building. 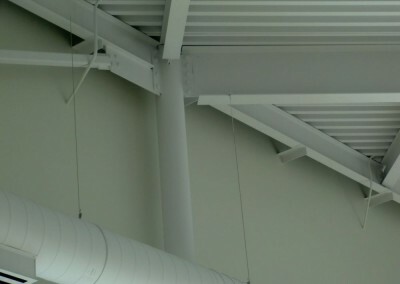 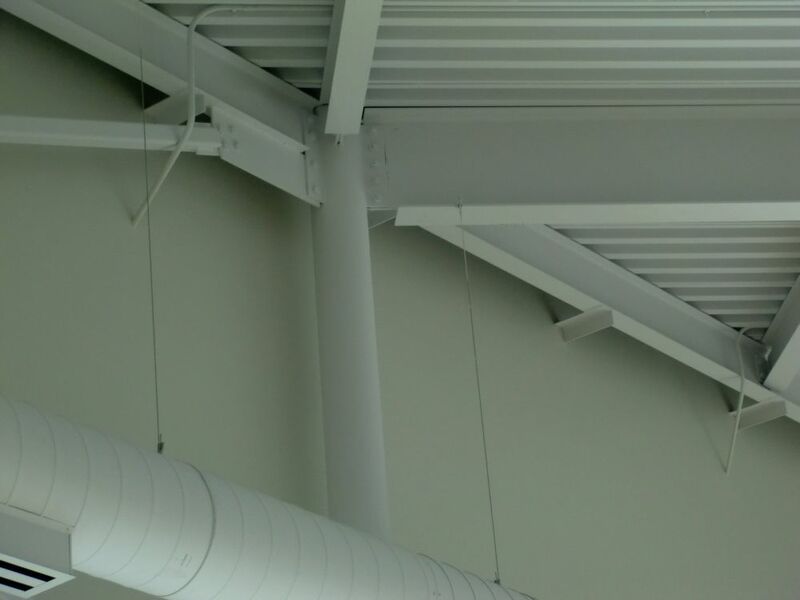 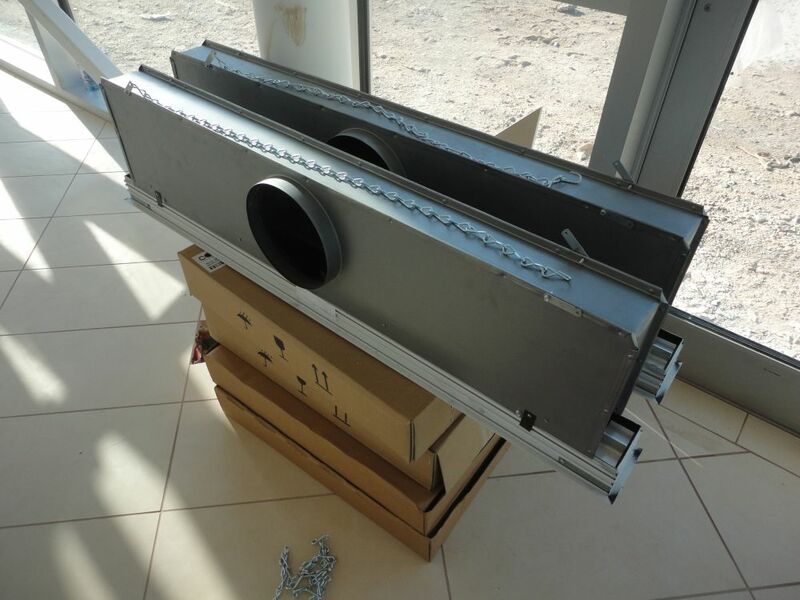 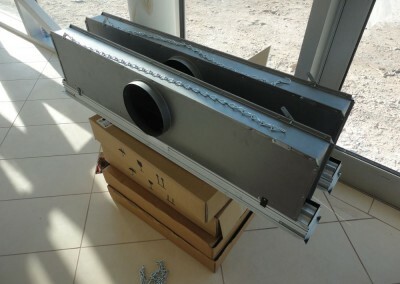 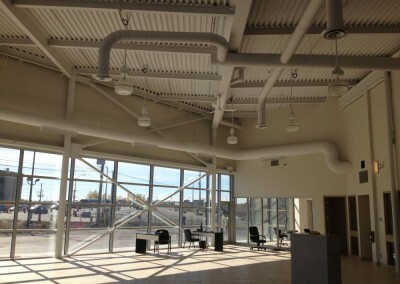 The building design had to take into account integrating the new addition with existing system/ components that were part of the original building. 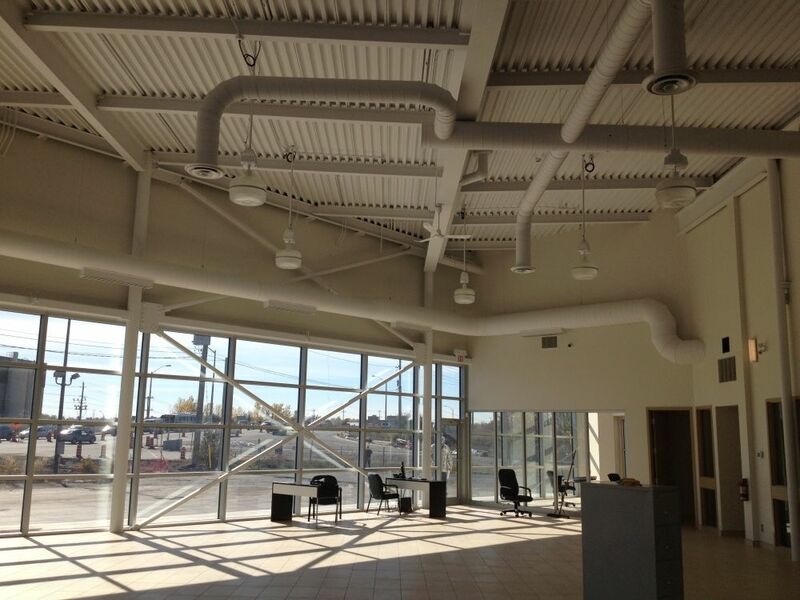 Working closely with the KIA Corporate Image program equipment, fixtures and finishes were selected to compliment the program. 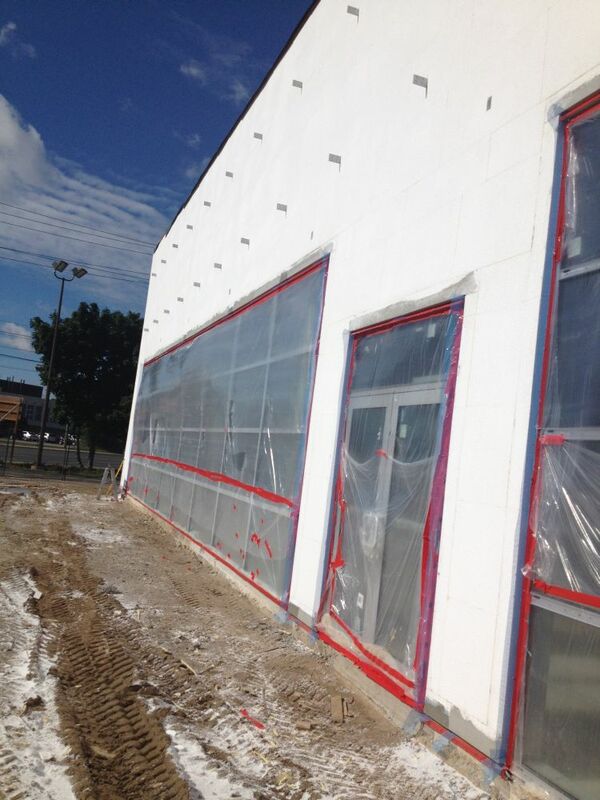 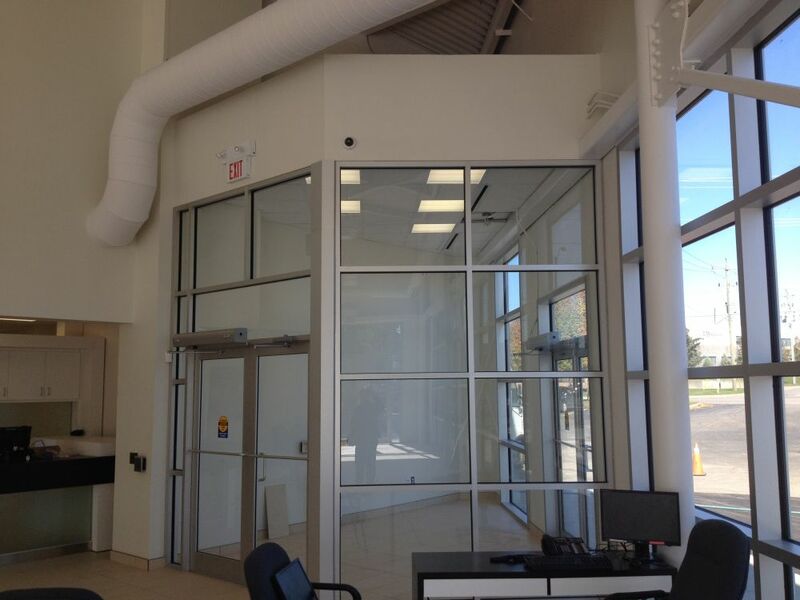 A curtain wall system provides full vision from the street into the sales showroom. 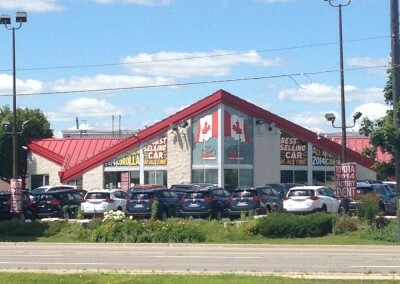 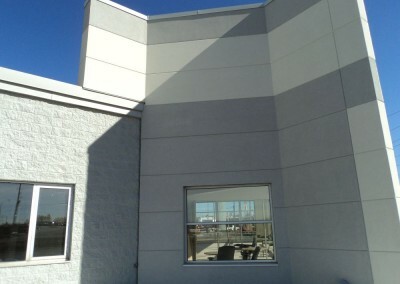 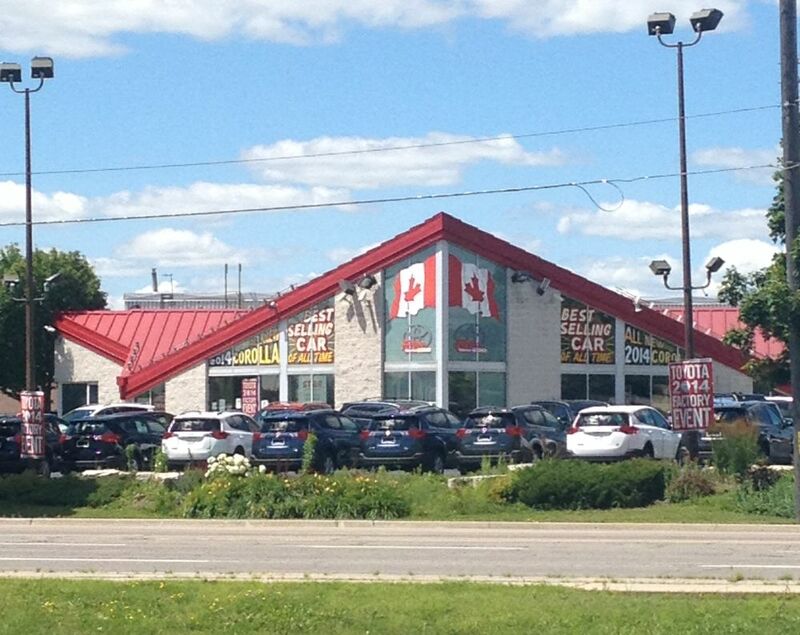 This unique marriage of old to new provides the dealership with an updated façade with new energy efficient systems with a clean, bright and welcoming facility for their clients.